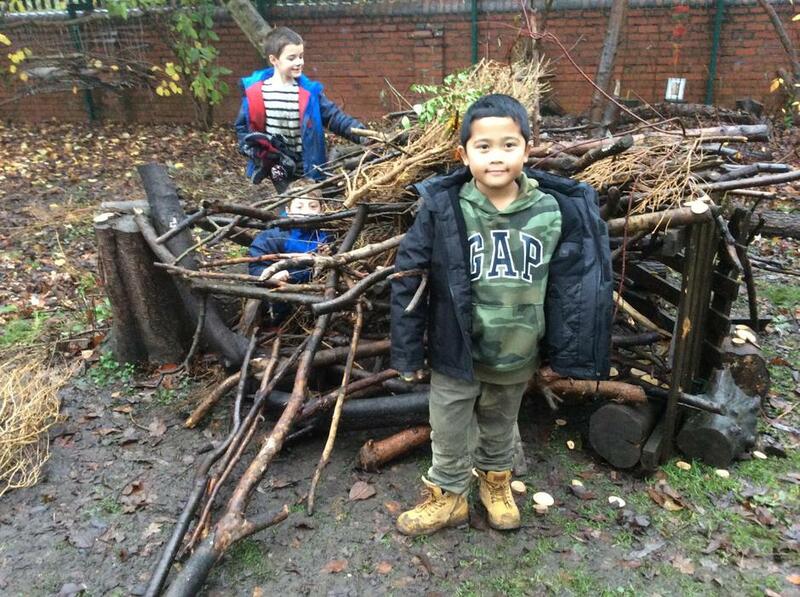 Digging up our landfill site, Campfires and Den building. what had biodegraded and what was still present. 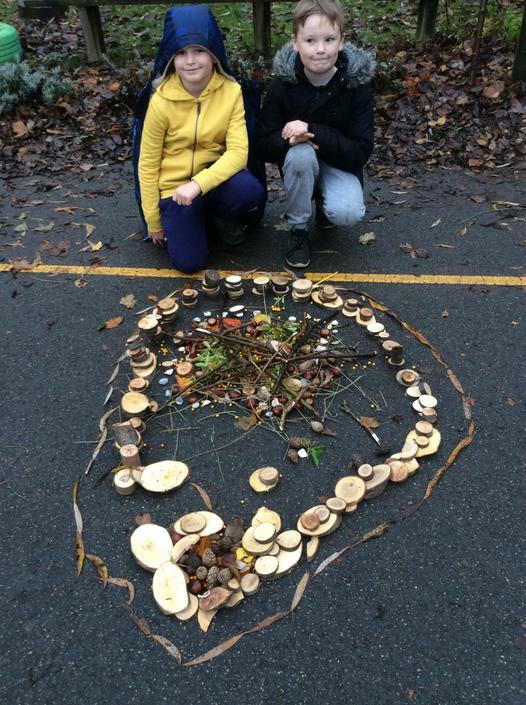 They were correct in their predictions and were somewhat upset by the impact of litter on our beautiful planet. Many reaffirmed their commitment to being part of the solution not part of the problem. 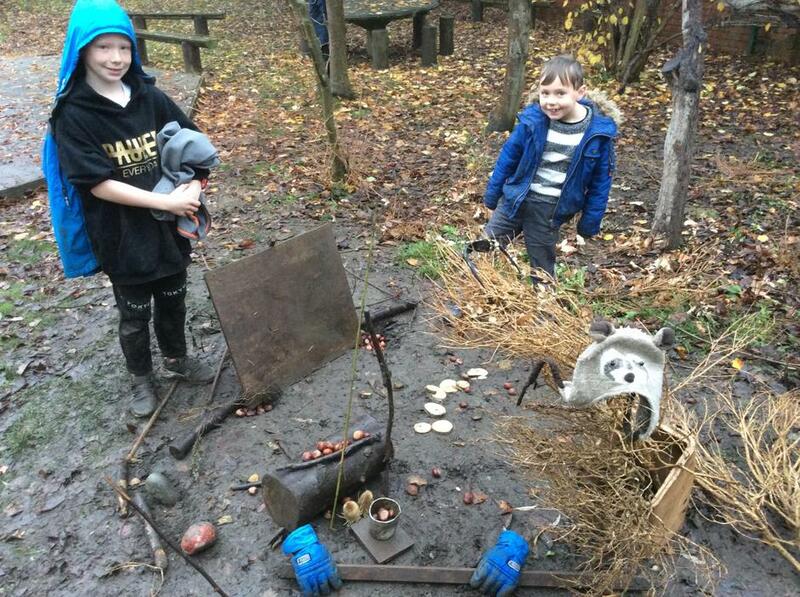 The children had to find and work out the clues in the ‘Campfire Quiz’ in order to get their prize. It was quite a tricky quiz and the children really had to work hard to discover the answers. It was interesting to see how the children reacted to the challenge. Some showed a determination and tenacity that was astounding. #Watch out world! Others threatened to go into melt down at the prospect of potential ‘failure’ but rallied beautifully with a bit of encouragement and support. Others gave up quite quickly and sat back waiting for the answers to be given to them by people who had worked it out. Once they realised that it wouldn’t be presented to them on a plate, they regrouped and put some effort in. Excellent lesson no for life. 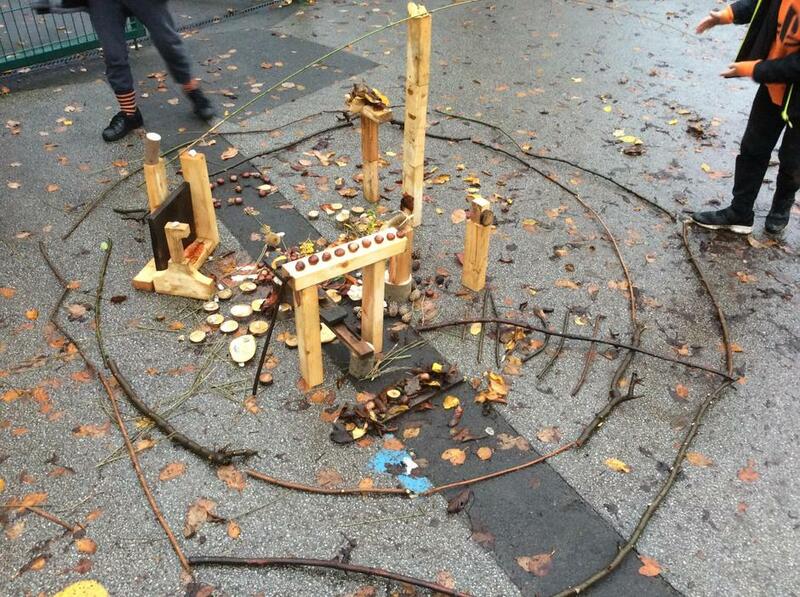 After a wobbly start to the session because of some children choosing to behave less than optimally, they really took the advice given onboard and it turned out to be a wonderful, focused afternoon with some brilliant examples of inventiveness and creativity. How blessed are we! An iPad tech issue prevented me from getting any photos this time, but trust me, it was fab! We had an outdoor angles hunt and compared man made angles with those we find in nature. Some of the more unusual angles that the children discovered were the acute and obtuse angles in the tree branches. Fantastic angle hunting everyone. 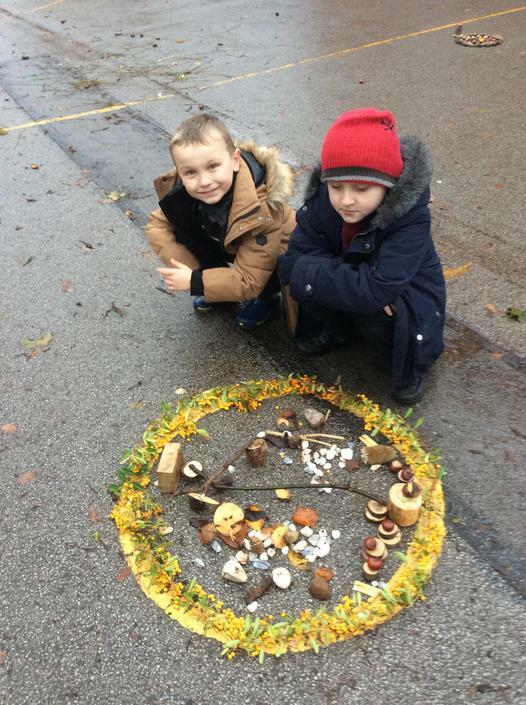 The children then wrote their name with sticks and marked the different angles with different items. 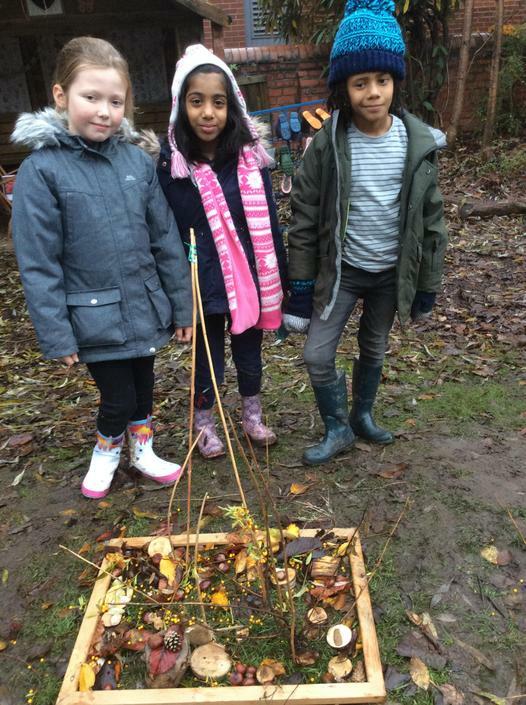 It was interesting for them to discover that angles that they thought would be the same were different because of the wonkiness of the sticks they had chosen. There were also some very impressive body angles made, some made our eyes water! Snapping a stick to make a right angle. Some were tricky to work out. Making angles with our legs. Not quite 180 degrees but almost! Ouch. 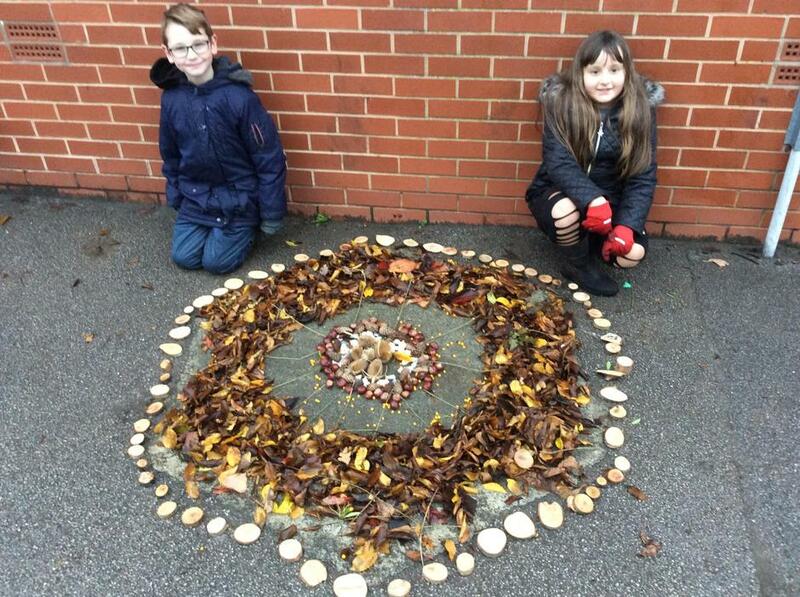 We looked at some of the work of Andy Goldsworthy, the British artist who produces natural sculptures and environmental and land art and, thus inspired, the children created their own works of art. 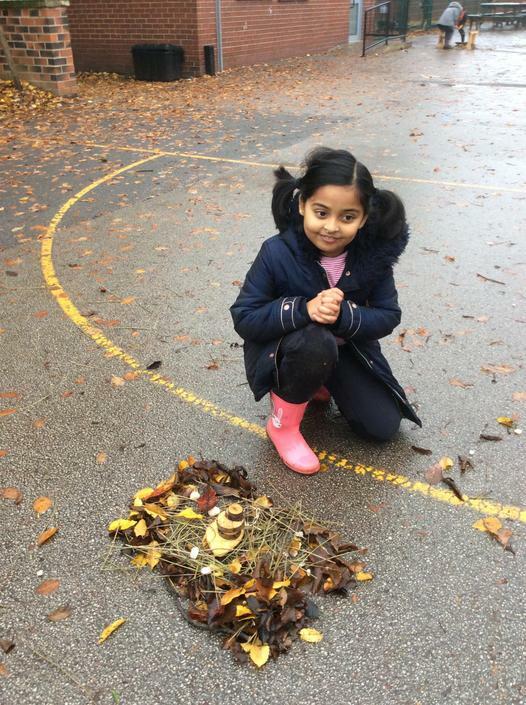 Andy Goldsworthy uses ‘nature treasures’ such as flowers, mud, ice, leaves, twigs, pebbles, boulders, snow, thorns, bark, grass and pine cones to create his temporary masterpieces. He photographs the artwork and then allows it to remain in the natural environment and decay at its own rate. He studied art in Bradford and was given an OBE in 2000 for his work in art. 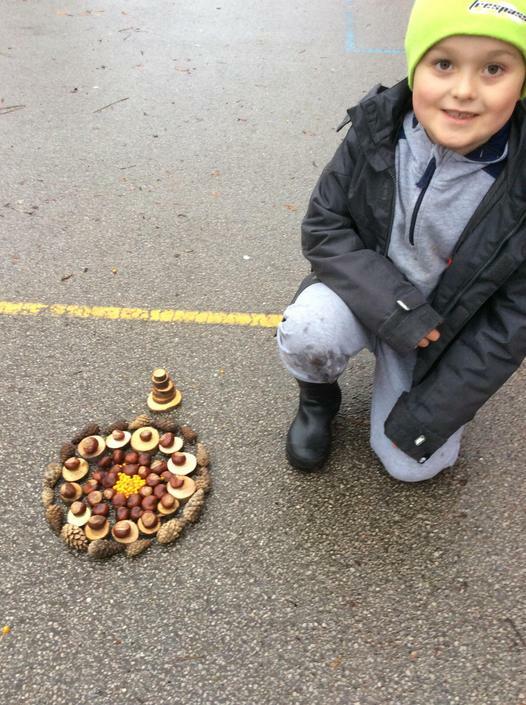 Looking at some of our children’s creations, it looks like some of them might follow in his footsteps. They created everything from small intricate mandela’s to large wooden lattice sculptures and everything in between, we even had a 3D representation of New York - “Stick York”. Wow! Year 3 - you are simply wonderful, thank you for an inspiring day. 🍁 Learning how to express emotions positively without words. At the beginning of our sessions we played the ‘Photographic Memory’ game. 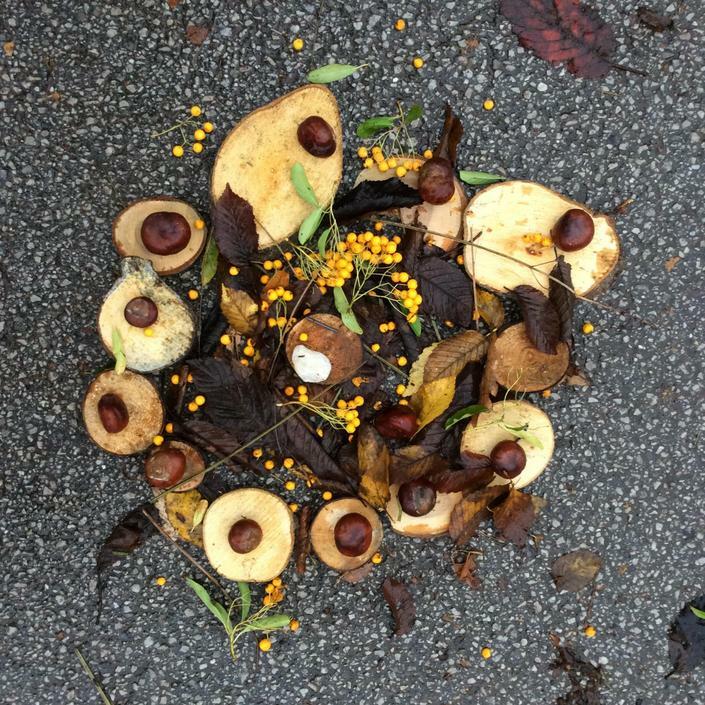 Each child took on the role of a camera, taking a picture in their mind of some ‘nature treasures’ collected earlier from around the wildlife area. They then went to try and find similar specimens trying to match the size, colour and any particular features - such as an acorn shell that had been nibbled. 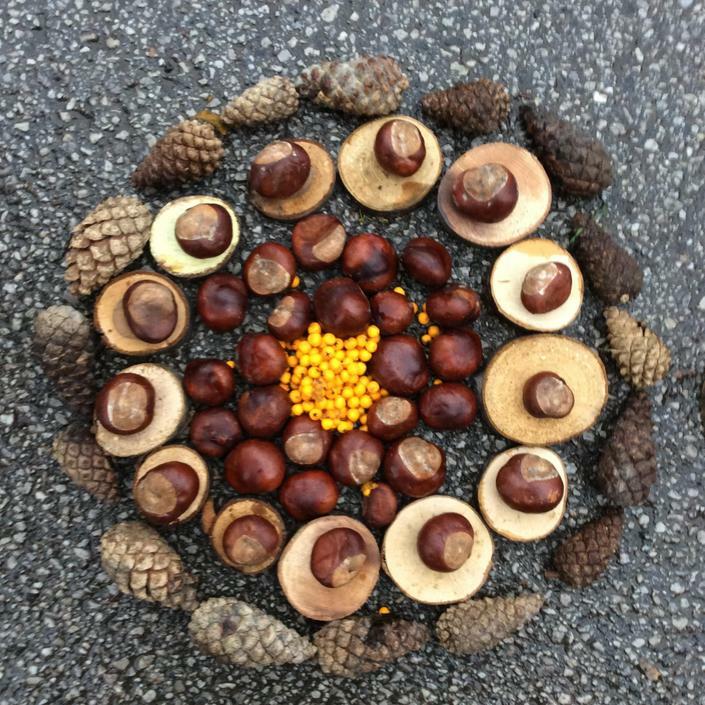 This game helps develop 🌿 memory 🌿 making connections and categorising 🌿focus 🌿 fine and gross motor skills 🌿 connection to the natural world and 🌿 teamwork. We talked about where the items came from, what there are, what they need to grow, why they are useful, the benefits for humans and other species and how we can help look after them. We then looked at the soil under our feet, what it is made up of, why it is important and lives in it. We profiled the soil by separating it in a bottle using water so that we could see some of the different elements in it. We explored the bog garden and found lots of tomato plants. There must have been left over tomatoes from snacks in the compost that we filled the bog garden with and they have grown really well. We put some of the green tomatoes in the poly tunnel to see if they will ripen in there. 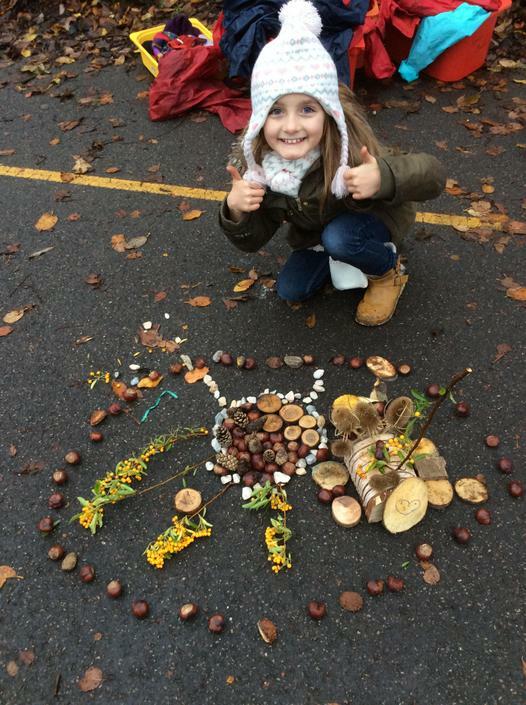 We created our own Web of Life so that we could see how everything in the natural world is connected. One person held on to the end of a ball of wool and said the name of a plant or animal that lives in the school grounds and then we thought up different questions such as, “What animal lives in that tree?” Or, “What does that creature need to eat?” and extended the wool to theperson who answered that question. When everyone was holding a bit of the web we imagined a situation where some element of the web would be effected, for example, a very dry summer would mean not enough water. The person who was representing the water pulled their piece of the web and we could see which other parts of the web were effected by that. We spoke about pollution and how that might effect the natural world. We then went on a mini beast hunt and tried to identify the creatures we found by using the flow charts. We are lucky to have tadpoles in a corner of our bog garden and we were able to look at how they are developing. The title of our session was, "What do we share our school with?" We started with a time of quiet so we could listen carefully to what we could hear around us and take a moment to be grateful for the wonderful world we live in. We played a game called "What's my animal." We had to think about how we could describe them and thought about how to classify different creatures; birds, mammals, fish, insects, spiders and reptiles. We had to think about what they eat, if they are awake in the day or night and where they live to help us guess them. We explored our outdoor area and shared interesting things we found. 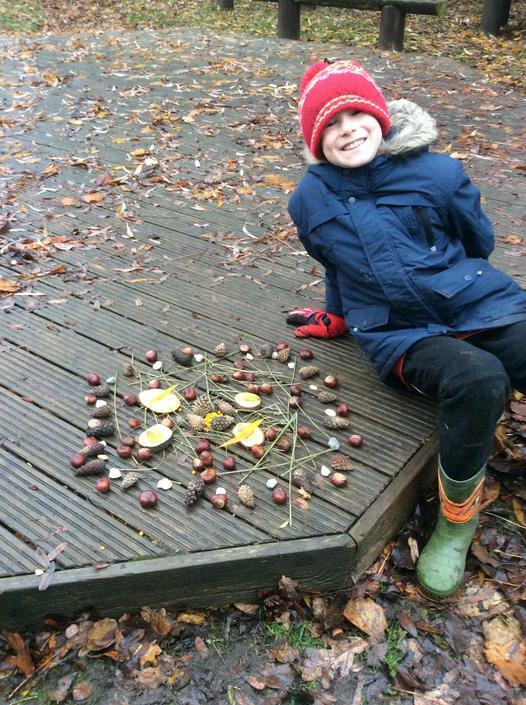 ‘What’s my animal?’ game in our outdoor classroom. Spring flowers beginning to grow. We have a very busy mole living on the field. When the field floods ducks, come to play. 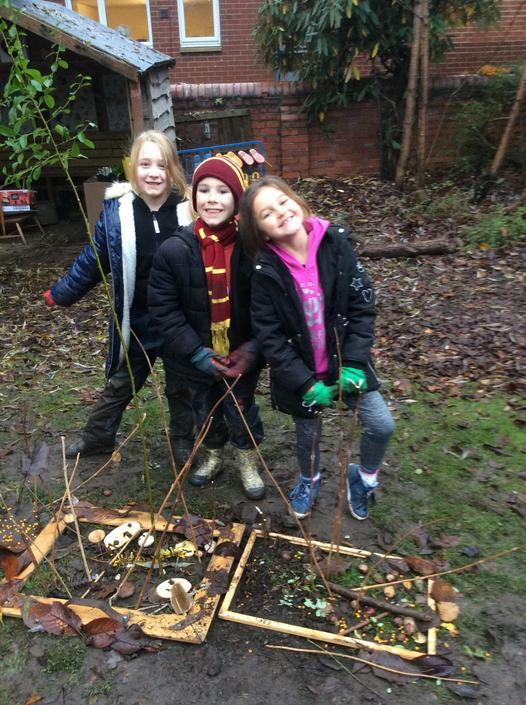 We found lots of fungus and mushrooms. Daisy’s are beginning to show their heads. Worms are very important for our world. Teeming with important life forms. We’ll play in the ‘duck pond’ if the ducks don’t. and even a bit of engineering. 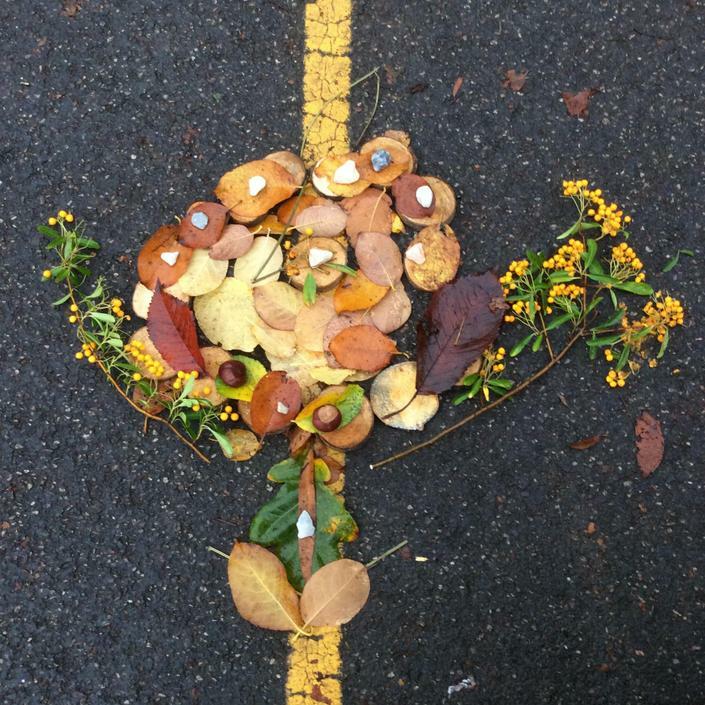 We had an outdoor angles hunt and compared man made angles with those we fine in nature. 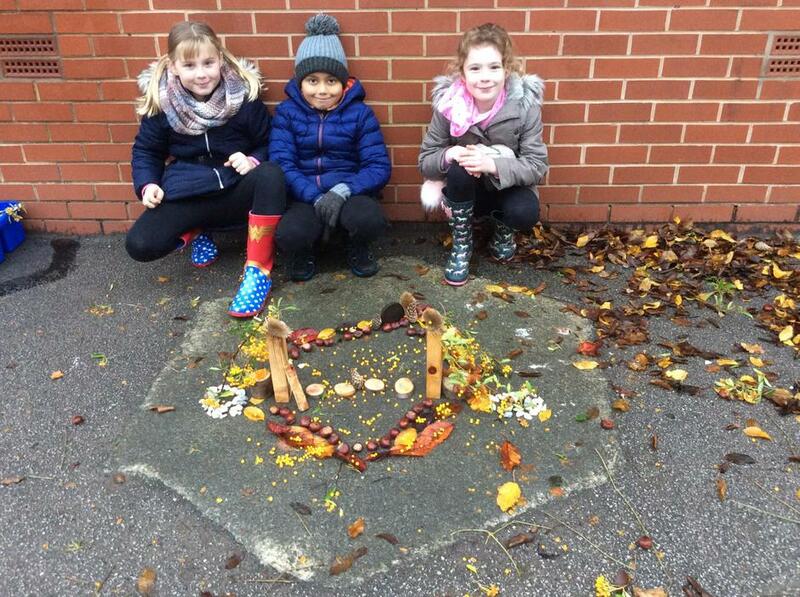 Some of the more unusual angles that the children discovered were the acute angles on the chickens comb and beak. Fantastic angle detecting! The children were set the challenge of making the biggest 3D structure that could hold it’s shape without collapsing . Tieing the sticks together with string was a tricky for some of the children but they persevered and some truely wonderful shapes were made. 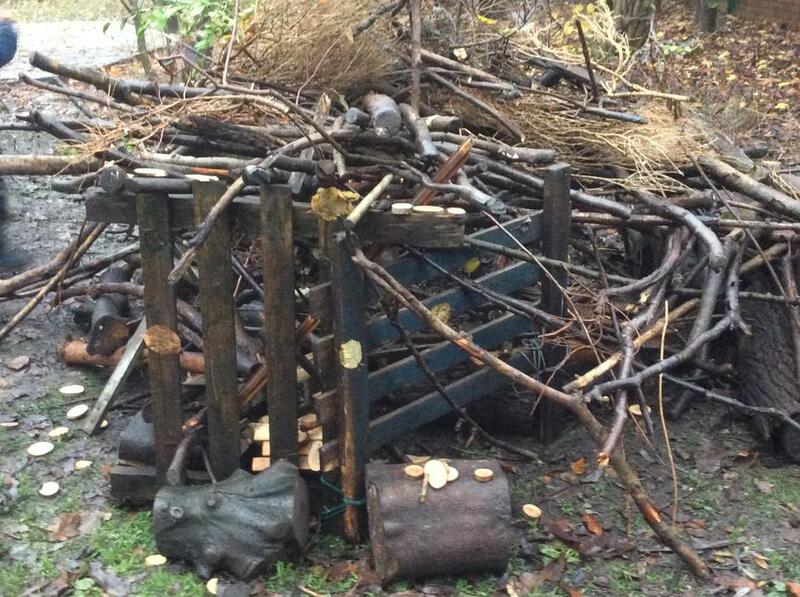 Ta dah, quick take a picture before it collapses! 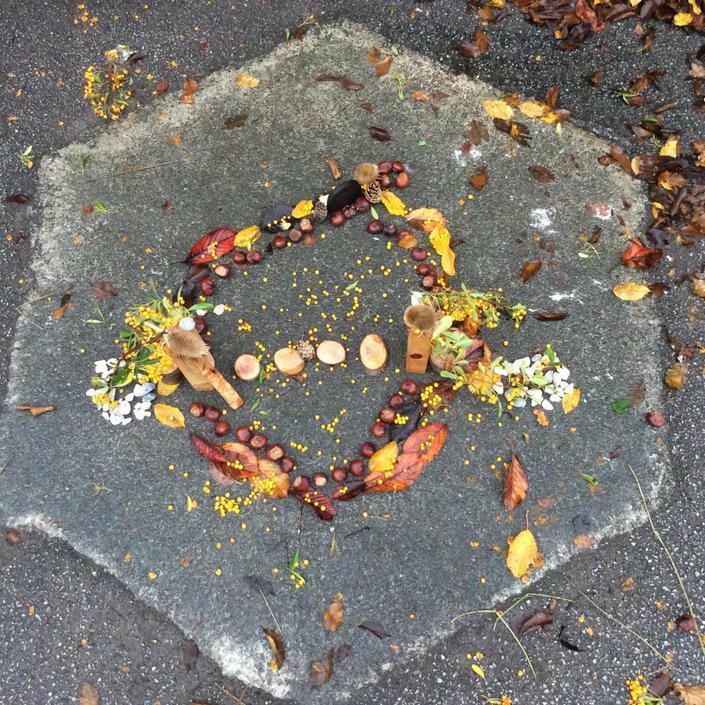 During our outdoor lessons this half term we were making our own art work inspired by the artist Andy Goldsworthy. There were some stunning creations, these were photographed, framed and are to be sold at the Christmas Fair. Class 3 have been looking at rocks and soil. In our outdoor sessions we looked at the permeability of different types of soil and thought about why that might matter to us. We discussed the impact of too much and too little water on football pitches, plants and our lives. We thought about ways we could change the permeability of the soil. We did an experiment - 'The Great Soil Race' to see permeability in action. We also though about and measured the pH of the soil, why this might matter and again how our activities might impact it. We then thought about the humble earth worm and how incredibly important they are to our existence. Charles Darwin was a big fan of worms. We had a "dig" in our allotment to look at the different layers in the soil and the creatures that make their home there and made our own wormeries so we could watch how the worms move the soil. At the end of the two sessions we agreed with Darwin: earth worms are amazing creatures and it would be a very different world without them. Looking at the different layers in the soil. "Why is the bit underground pink?" Cleaning a rock in order to identify it. Keen eyes spotted this butterfly high in the tree.